Editor’s note: More and more men are opting for tailored suits and a properly fitted outfit. Harking back to the days of style, when refinement and elegance were elements that defined a man. And as most watch fans know, no suit is complete without an accompanying piece of fine wrist wear. So before you step in for your next custom measure, it’s worth considering what will be strapped to your wrist. Perhaps Cartier’s charmingly romantic Drive de Cartier Moon Phases? In our recently published interview, Arnaud Carrez, Cartier’s Head of Marketing and Communications, said the Drive represented a different kind of masculinity, one that wasn’t defined by “muscles, sport, achievement, performance”, but by “elegance, and style, and refinement”. 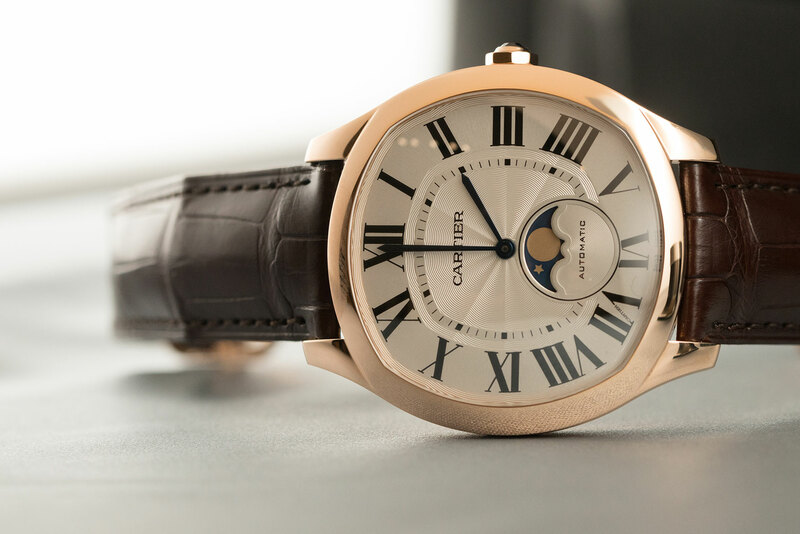 Looking at the Drive de Cartier Moon Phases, you can see what he means. It’s a confident watch that takes the dressy Drive design and, by adding the eternally romantic moon phase at six, elevates it to the next level of elegance. Introduced at SIHH in stainless steel and pink gold, the Drive Moon Phases took a bit of a back seat to the critically acclaimed Extra Flat, but for me the Moon Phases is the perfect embodiment of what Drive is all about. 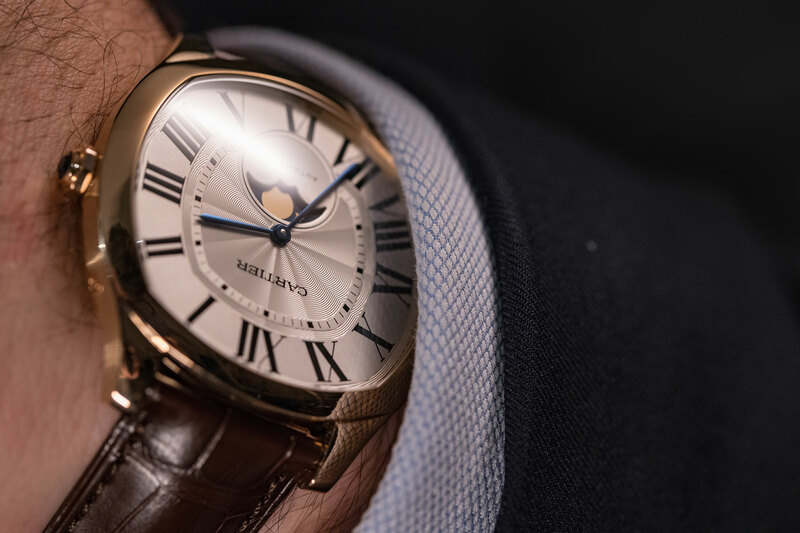 In gold, it’s a very warm, dressy watch, with a dial full of detail that is pure Cartier. On the technical side, the watch is the same size as the regular Drive, at 41mm across and a wearable 12.15mm high. It’s powered by the newly developed in-house 1904-LU. This complication is highly accurate, and only needs to be adjusted every 125 years, which is nice. Power reserve is decent but not outstanding at 48 hours. 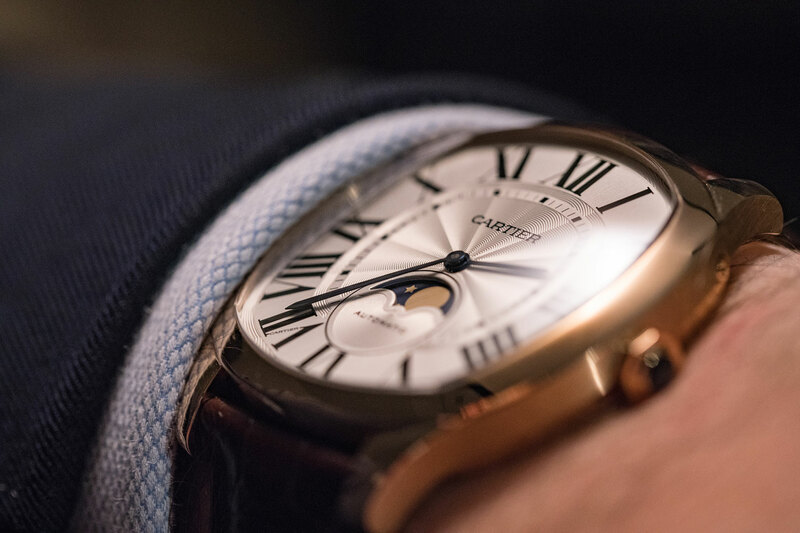 The moon phase complication is perfectly on-brand for Cartier, and it looks sublime on the Drive. My only gripe is the overly prominent ‘automatic’ text on the dial. 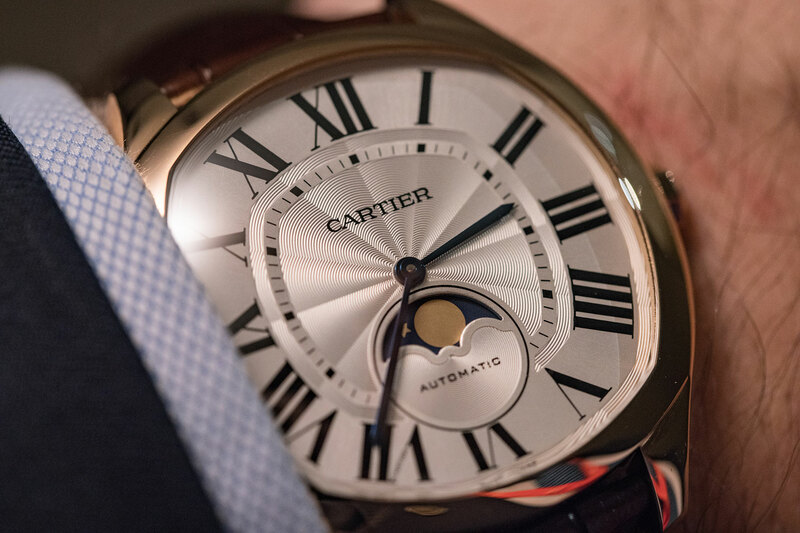 This minor issue aside, the Drive de Cartier Moon Phases is perhaps my favourite in the rapidly expanding family.